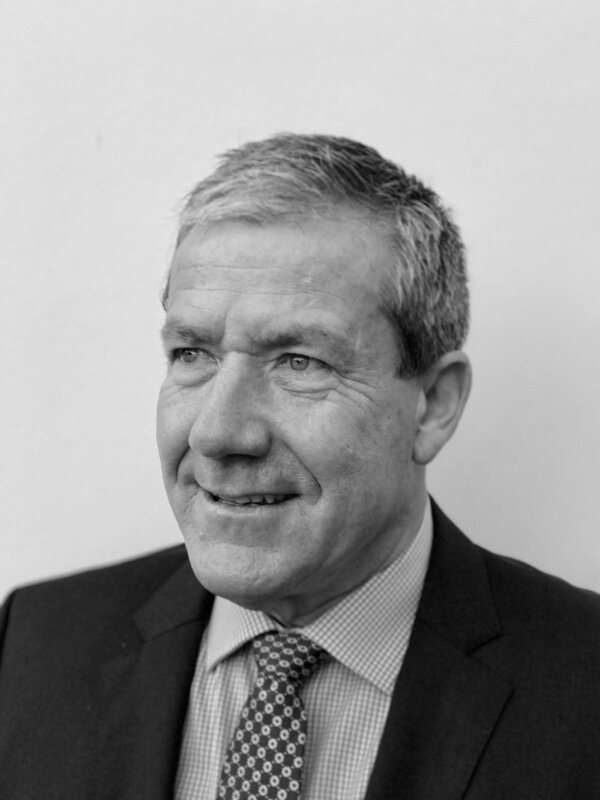 Mr. Herbert is a Fellow of the Association of Chartered Certified Accountants and has over 23 years of experience in finance. Mr. Herbert has been involved in growing mining and oil and gas companies, both as an executive and an investment manager, for over 16 years and, until May 2013, was Co-Chairman and Managing Director of AIM quoted Polo Resources Limited, a natural resources Investment Company. Prior to this, he was a director of resource investment company Galahad Gold plc from which he became Finance Director of its most successful investment, start-up uranium company UraMin Inc. from 2005 to 2007, during which period he worked to float the company on AIM and the Toronto Stock Exchange in 2006, raise c.US$400 million in equity financing and negotiate the sale of the group for US$2.5 billion. Mr Herbert has also held board positions at a number of resource companies where he has been involved in managing numerous acquisitions, disposals, stock market listings and fundraisings. Mr Herbert holds a Joint Honours Degree in Economics and Economic History from the University of Leicester. Vincent is the Chief Executive Officer and Managing Director of IronRidge Resources. Vincent is a mining engineer with over 25-years extensive experience across the civil, construction and mining industries in a variety of fields including gold and coal mining and quarrying. Vincent has diverse expertise in large scale infrastructure projects. He has been actively involved with project management, engineering, quality control and environment and safety management. Vincent has held Directorships for various public companies over the past fourteen years. He has been primarily responsible for a number of new developments for IronRidge Resources including new partnerships and project expansions for the company. Vincent was instrumental in the raising of £9.7m for admission to AIM on 12 February 2015. He secured two cornerstone investors; Sumitomo Corporation and Assore Limited. He also resides on the board of ASX-listed resource genertion company; DGR Global Limited. His efforts have received MBA Merit Awards for Excellence in Engineering, Construction, Environmental, and Public Private Partnerships. Vincent is a member of both the Australian Institute of Mining and Metallurgy and the Institute of Engineers of Australia. Nicholas Mather graduated in 1979 from the University of Queensland with a B.Sc. (Hons, Geology). He has 25 years' experience in exploration and resource company management in a variety of countries. His career has taken him to numerous countries exploring for precious and base metals and fossil fuels. Nicholas Mather has focused his attention on the identification of and investment in large resource exploration projects. He was managing director of BeMaX Resources NL (an ASX-listed company) from 1997 until 2000 and instrumental in the discovery of the world class Ginkgo mineral sand deposit in the Murray Basin in 1998. As an executive director of Arrow Energy NL (also ASX-listed) until his resignation in 2004, Nicholas Mather drove the acquisition and business development of Arrow's large Surat Basin Coal Bed Methane project in south-east Queensland. He was managing director of Auralia Resources NL, a junior gold explorer, before its USD23 million merger with Ross Mining NL in 1995. He was a non-executive director of Ballarat Goldfields NL until 2004, having assisted that company in its recapitalisation and requotation on the ASX in 2003. He was also founder and Chairman of TSX-V listed Waratah Coal Inc until its $130m takeover by Minerology Pty Ltd in December 2008. Mr Crow has more than 30 years experience in all aspects of corporate finance and investor relations in Australia and international markets, and has owned and operated his own businesses in these areas for the last twelve years. Mr Crow has a passion for assisting companies to gain and maintain recognition in the market. He brings extensive working knowledge of capital markets to the Board. Mr Crow is also a Non-Executive Director of ASX listed TNG Limited. Tiaan obtained a BEng (Metallurgical) degree from the University of Pretoria (UP) in 1982 and later obtained BCom (Unisa) and MEng (UP) degrees. After working for Lscor and Samancor in production and on projects, he was appointed by Samancor as General Manager of the Palmiet Ferrochrome Operation (Mogale) in 1999. He joined Assore in 2003 as Consulting Metallurgist and is a memeber of the Assmang Operations Committee. In September 2012 he was appointed Group Technical and Operations Director of Assore and a director of Assmang. Alistair obtained a BSC(Hons) Metallurgy degree from the University of Newcastle upon Tyne in 1981, and subsequently an MBA from the University of the Witwatersrand in 1991. After joining the JCI group in 1981 he operated in the production area of smelting in the platinum division before coming into the head office environment in 1988 to work on project evaluation in both the platinum and gold divisions. After completing his MBA, he then transferred to the chrome division, operating as the sales manager until the division was sold to Sudelektra (subsequently Xstrata and then Glencore). Alistair joined Ore & Metal in 2000 as the chrome sales manager. in August 2013 he was appointed Group Manager - New Business. His Area of expertise includes sales and marketing, General Business, Strategy and Business development. Mr Tsubaki joins the Board as part of the Company’s strategic alliance with Sumitomo Corporation and brings to IronRidge a wealth of expertise in the strategic development, marketing, operational and corporate development of the Company’s Gabonese iron ore assets. Mr Tsubaki is currently Head of Sumitomo’s Iron & Steel Making Raw Materials Department Tokyo. Prior to this appointment Mr Tsubaki has held several key roles with Sumitomo Corporation including the Division Manager for Sumitomo South Africa.